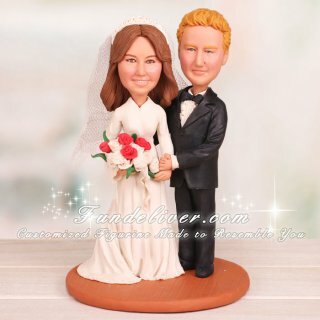 This is a completely customized vintage wedding cake topper ordered by one of our customers. 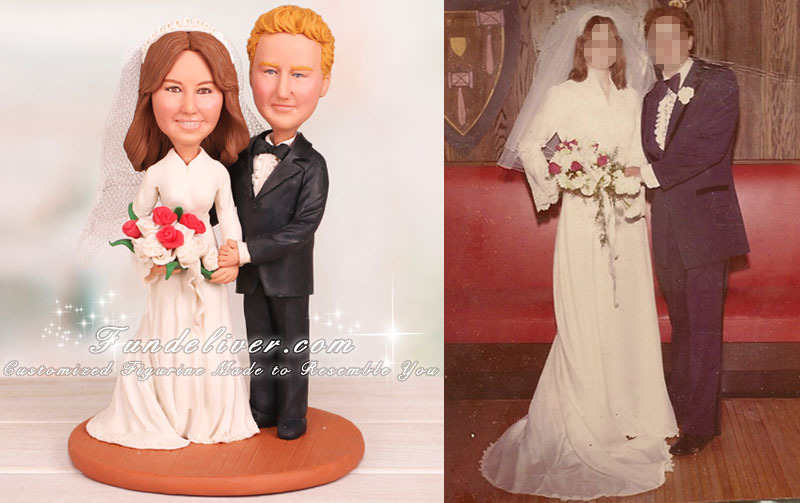 Above photo is the only one our client have of the bride and groom from early days, they would like to have the couple figurine to be in the exact pose, dress, bouquet, they even want them to be connected the same way as photo. That is really a vintage photo, we sculpt exactly based on the photo to make this vintage wedding cake topper.